What: Kids love bread, kids love avocados. Do the math! There’s no reason that little ones can’t take part in the latest overexposed food trend. Believe it or not, Avocado Toast is not just popular with us Americans. This healthy toast trend is on fire the world over. When: Need a perfect lunch side or snack for toddlers who love to feed themselves? 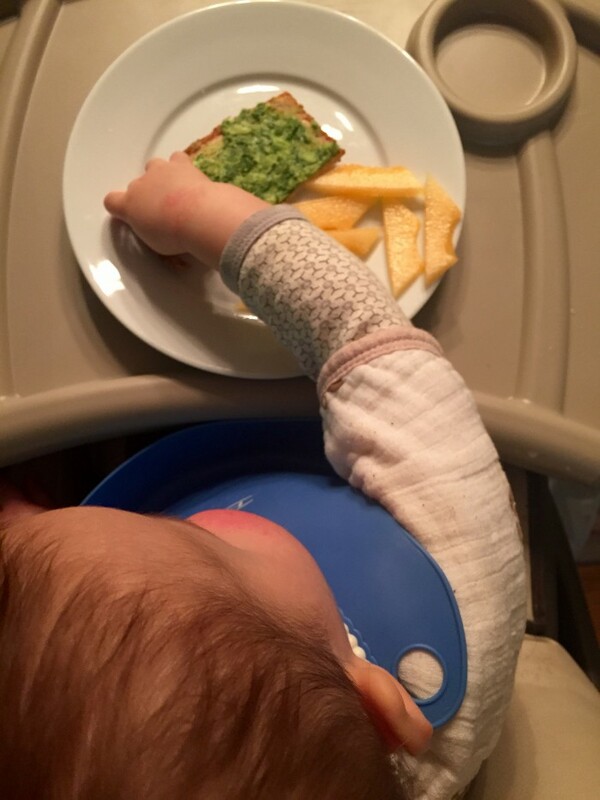 More and more, I find that finger foods are a quick fix for food-induced tantrums. No matter how willful my little guy gets, he has, so far, been unable to resist the siren song of this satisfying, fiber-rich fruit. Yup, avocados are a fruit, specifically, a berry. Wild, right? Why: Avocados pack a nutritional punch and their “good fats” promote healthy cholesterol levels. How: You won’t need a recipe (but we’ll give you one anyway). It’s as easy as it sounds. Just mash a very ripe avocado and spread on lightly toasted (gentler for little mouths) bread. We like to mix in minced leafy greens to add even more nutrients and flavor complexity. We serve it alongside cantaloupe which is great right now. Together, the sweet and savory pairing is kid kryptonite. In a small bowl, mash ripe Avocado flesh and mix in minced Spinach or other greens. Spread on lightly toasted bread. Allow to cool a bit and serve.